A self-described "song-hunter," the folklorist Alan Lomax traveled the Mississippi Delta in the 1930's and '40s, armed with primitive recording equipment and a keen love of the Delta's music heritage. 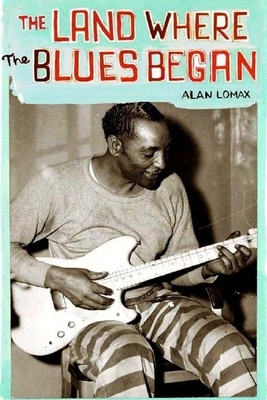 Crisscrossing the towns and hamlets where the blues began, Lomax gave voice to such greats as Leadbelly, Fred MacDowell, Muddy Waters, and many others, all of whom made their debut recordings with him. The Land Where the Blues Began is Lomax's "stingingly well-written cornbread-and-moonshine odyssey" (Kirkus Reviews) through America's musical heartland. Through candid conversations with bluesmen and vivid, firsthand accounts of the landscape where their music was born, Lomax's "discerning reconstructions . . . give life to a domain most of us can never know . . . one that summons us with an oddly familiar sensation of reverence and dread" (The New York Times Book Review). The Land Where the Blues Began captures the irrepressible energy of soul of people who changed American musical history. Alan Lomax is an ethnomusicologist, record producer, and network radio host/writer. His work includes the prize-winning 1990 PBS television series American Patchwork and the multimedia interactive database called the The Global Jukebox, which he produced as an anthropologist for Columbia University and Hunter College.